NRG’s Motion for TRO tossed out! 1) It appears that NRG’s technology vendor, is likely to be Mitsubishi Heavy Industries (MHI), referred to as “a Japanese technical provider.” MHI lacks a demonstrated IGCC technology at this point. Their first gasifier runs are scheduled for the second half of 2007, per their website. Therefore, MHI has no emissions data. 2) NRG expressly stated that there is no technology vendor contract at this point, they are “contracting” but have not “contracted,” and again, therefore, they have NO emissions data. 3) The focus of NRG’s motion was to protect THEIR contracting ability with potential vendors, not a competitive issue with other utilities. 4) No confidentiality agreement, no contractual obligation, therefore information will be released. Chancery Court on Tuesday refused to block the release of more details about NRG Energy Inc.’s more than $1.5 billion plan for a new power plant near Millsboro. 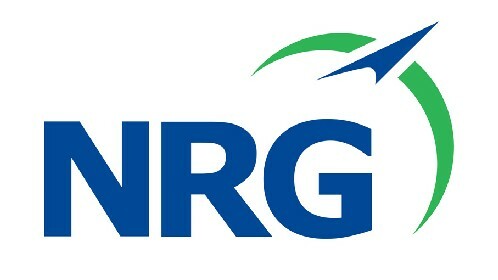 NRG sought a temporary restraining order last week, after the Public Service Commission voted to make public bid information the company had declared confidential. Company officials said the release could “irreparably harm” NRG, giving competitors insights into the company’s business strategies and damaging NRG efforts elsewhere. But Chancellor William B. Chandler III ruled, after more than an hour of testimony in Georgetown, that NRG had failed to prove the PSC acted arbitrarily with its order — issued in connection with a Freedom of Information Act request from The News Journal. “It’s obvious to me that the commission made its decision in an informed and deliberate manner,” Chandler said. The ruling will allow the PSC to release the information today. James M. Geddes, staff counsel to the commission, said the public had “clamored” for release of more information from NRG’s proposal, particularly details about emissions. “There are members of the public who want this type of information so they can file written information that can assist the decision-makers,” Geddes said. Caroline Angoorly, NRG northeast vice president, said the company would continue to seek state backing for a contract to build the plant and sell most of the electricity to Delmarva Power. Chandler cautioned that his decision was based on the court’s right to consider fairness and equity claims, rather than on Freedom of Information Act terms. He also said that NRG had no right to challenge the PSC’s action under state administrative rules because the agency’s decision on which company would be chosen to provide the state with energy has yet to be made. The PSC and three other state agencies have been wrestling for months with bids for a new Delmarva Power generating contract. State lawmakers ordered the company to seek new in-state electricity supplies last year, after the long-delayed effects of utility deregulation pushed customer bills sharply higher. Dogging the process have been complaints about bidder “blackouts” that prevented the public from seeing details about potential rate-payer impacts, project costs, likely pollution emissions and other details. In a separate ruling, Chandler agreed to temporarily block release of information from Bluewater’s bid involving wind-turbine manufacturer Vestas Offshore . Bluewater signed a nondisclosure agreement with Vestas, but failed to notify the PSC. Contact Jeff Montgomery 678-4277 or jmontgomery@delawareonline.com. So, once more with feeling — will someone explain to me why the cost information is not at issue? 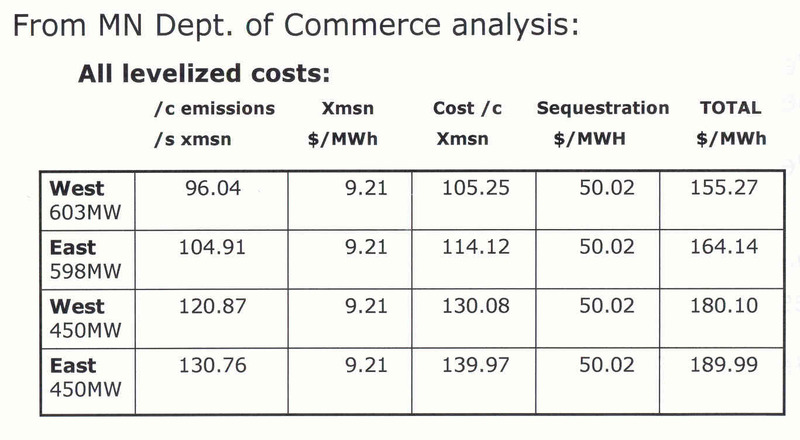 Why the cost of the NRG proposal is not public? Nearly all of the cost information for Excelsior Energy’s Mesaba Project is public in Minnesota! That information has been provided to the Delaware PSC! Carol Dobsonâ€™s notes from Chancery Courtâ€™s hearing the case brought by NRG against the PSC to block the release of more details about their energy bid. 2:00pm -2:35pm NRG Lawyer, Mr. Scaggs, presenting case before Chancellor William B. Chandler, III ( JUDGE): Do the RFP instructions include that bidders can withdraw? Now that the information is with the PSC, if a party walks away, what happens to that information? NRG: The PSC should have determined if the information was G2. They didnâ€™t. They claim public interest. JUDGE: Hearing the records indicate a balance of testimony. NRG: If the PSC determination stands, there is a concrete threat of TRO. Instructions to bidders was that information would be treated confidentially except what is authorized by law. Corporation. Non-public information should not be released except as required by law. NRG: G2 is further defined in a National Parks case. (The NRG lawyer then provided the Judge with an Issues Sheet prepared by PSC staff on 3/7/07.) They send the message that confidential information would be respected as such. This led NRG to provide a very detailed proposal and now we will be punished for this. This is a court of equity and an abuse of discretion has occurred. ( And there is no other authority for an appeal.) There are examples we cite: The PSC, after an executive session, stated no basis for this decision. An irrational or arbitrary decision was made by the PSC. NRG argues that the release of information by the other bidders was rational. These bidders are very different. Blue Wind has no emissions data to withhold. Connectiv is building a pretty typical (natural gas) plant. The assertion that the other bidders released emissions data is irrational. JUDGE: This is a pre-bid award. Havenâ€™t you negotiated with your vendors? They would know your hold-up point in this pre-award context? NRG: This is at a negotiation stage. Emissions performance criteria would be set before we hire and sub-contract with vendors where emissions levels would be agreed upon with them. JUDGE: Iâ€™ve read all the documents and have some questions when you are finished. NRG: I would like to discuss the road map. Contacts for getting other contractors…all items are important, not just individual items, but as a whole. NRG spent two years developing this proposal. NRG is currently competing and contracting with the NY Power Authority, a Japanese technical provider and seeking federal loan guarantees. We canâ€™t see any harm to the PSC if the Court issues this restraining order. There is a May 8th meeting with other public reviewing agencies. We are not here to destruct this process, we propose a time frame with another submission to the judge and another decision. JUDGE: Are you able to tell me that NRG has an obligation of confidentiality with vendors? Are there agreements? JUDGE: I assume you advised the PSC staff of these confdential contracts. Did you give them notice of these? NRG: We have made heavy redactions. Yet there are other areas of documents where information was revealed that would reveal company information. JUDGE: The legal locus of you claim, the first claim, is reverse FOIA. The second claim is an arbitrary action of the PSC. PSC: This is a private right of action looking for a home…but not here! FOIA is a one-edged sword. A mandatory disclosure statute with exceptions. Mr. Scaggs has tried to wrap the rules of PSC around FOIA. Under FOIA a commissionerâ€™s determination is mandatory. This has gone on for a month and a half, not something done on the back of an envelope. What theyâ€™ve done is looked for a mandatory non-disclosure statment. If you look at Rule 1, Practice and Procedure. Option 2, Rules. at 11A and B, it puts on submitter to demonstrate information is confidential under state law. This is a FOIA request and reapplied a reverse FOIA. The Commission followed its rules in making its decision. This Court cannot substitute its review of the proposal made by the PSC. On the merits of case…? Would there be irrepairable harm? This requires a balancing. This Form H material is important. From March 23rd to April 6th the time for public comment has been extended. This reflects a lot of concern for public input to have written comments. It is important to have information to comment on. A May 8th decision. JUDGE: Isnâ€™t this a pre-bid. Why reveal now? Once the four agencies look at all the proposals, a decision would be made then. PSC: This isnâ€™t pre-bid. Itâ€™s pre-evaluation. The public input is important the file written documents. That there would be public comment. And maybe subject to legal discovery. (FOIA request). Getting information in front of the public is doing the public good. The PSC doesnâ€™t want to have decision made without public having access. Form H would not establish that this information is confidential. JUDGE: Is there a walk-away of and release of the proposal? PSC: Biding price is not being disclosed. Redactions are upheld. The potential for harm in releasing that could be established. JUDGE: Mr. Geddes, there has been notice to the bidders to provide information. If confidential contractual information is included, and where there was evidence that information was released and it was confidential, what would you do if you were NRG? PSC: This is a legal problem for the bidder. Final Statement by NRG lawyer to JUDGE: Nothing being contested is in a confidentiality agreement with a vendor. We are not here on speculation, this is information. Keep in mind, the parties with the most innovative bids will not bid in Delaware in the future. NRG regarding the process of the PSC: They repeatedly did not accept offers by V.P. Angorly to meet with staff. We hear that the public is clamoring for information. The road map is compromised. The emissions performance criteria they would be required to give to the public would be given to vendors. JUDGE: 3:15pm Itâ€™s too bad given the exemplary job both of you have gentlemen have done that I canâ€™t issue a tie. Iâ€™ll decide and be back in five minutes. 3:40pm JUDGE returns. FOIA exists so the public has a right to information. 105 Statute is enforcement of it. I decline to rule on the reverse FOIA. I do conclude, NRG has the right and ability to challenge in Chancery Court. Chancery Court will review an administrative decision if arbitrary or an abuse of discretion and will grant relief. NRG has not provided considerable burden. If claim of confidentiality is challenged, NRG should have petitioned the PSC. Ironically, the federal U.S. Dept. Of National Parks vs. Morton Case would hinder State from obtaining future innovative technology in the future. The assertion that the PSC decision is made with so little investigation is not so. The PSC made its decision in an informed and thorough manner. The PSC is free to dsiclose it. A TRO whould not be issued. If I had my druthers, Iâ€™d call it a draw. NRG’s RFP bid should be tossed out! Local watchdog group Green Delaware is calling for NRGâ€™s bid proposal for coal gasification to be disqualified from consideration as Delaware officials review plans for a new energy supply. The company is refusing to publicly reveal detailed emissions data for its proposed plant, and Green Delaware says making that information public is critical. NRG filed a petition late in the afternoon Wednesday, March 21, in the Court of Chancery to keep emissions data and â€œtrade secretsâ€ from the eyes of the public. 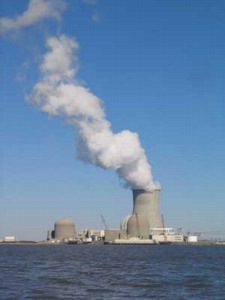 Alan Muller, president of Green Delaware, along with many Sussex County residents, has been calling for full disclosure of the NRG bid proposal to build a 600-megawatt coal gasification system at Indian River Generating Station in Millsboro. NRG first threatened to file suit to ensure the secrecy of certain parts of its proposal during a five-hour meeting of the Public Service Commission, Tuesday, March 20, in Dover. The threat became reality the next day. NRGâ€™s bid was submitted in response to Delmarva Powerâ€™s request for proposals, which called for proposals that would generate 400 megawatts of electricity â€“ enough to power more than 300,000 homes. When the public first requested copies of the three proposals, all three companies – Conectiv, Bluewater Wind and NRG – released heavily redacted copies. Later, both Conectiv and Bluewater released more in-depth information, but NRG refused, stating the requested information contained trade secrets. Conectiv plans to build a 200-megawatt natural gas plant in Wilmington, while Bluewater Wind proposes a 600-megawatt wind farm in the Atlantic Ocean. Muller sent a letter to the Public Service Commission Wednesday, March 21, stating that he is challenging NRGâ€™s ability to withhold the emissions data. He says the information is required under state law. â€œGreen Delaware respectfully puts staff and the commission on notice regarding this point: secret filings, absent service, must not be accepted and considered by the commission. Filings claiming confidentiality must attest to the justification for secrecy. These violations are issues that taint the RFP process. Florida doesn’t need IGCC either! As I sit here watching the cooling tower plume of Salem I & II waft by, it’s hard to ignore the idiocy of the state of energy generation proposals.Â Coal gasification… nuclear… Whatever are they thinking???? In a number of states, legislation is being introduced, a la Harvard, which gives IGCC perks and benefits to make IGCC seem competitive, to make it seem like a good idea. 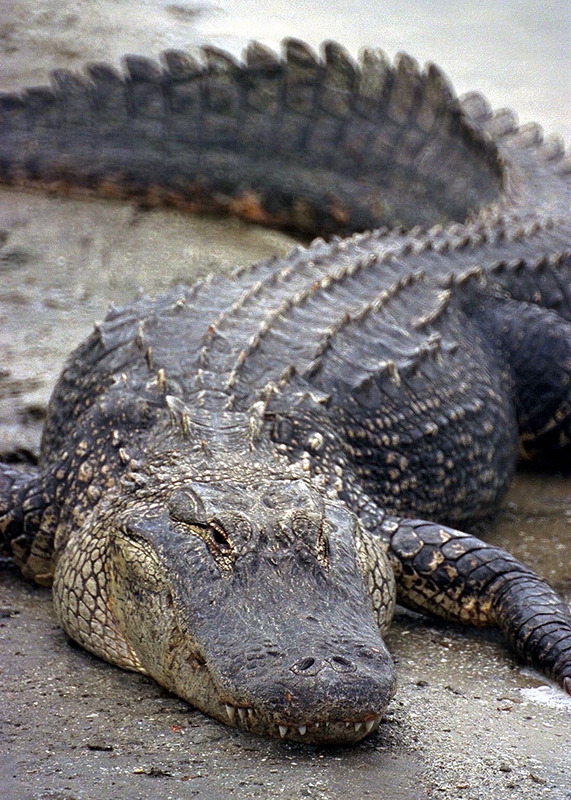 It happened in South Dakota recently, and now it’s Florida’s turn. Florida’s taking a dive off the cliff and quickly moving toward legislation to pave the way for coal gasificaiton (IGCC). Remember the Harvard Report, Volume 1? Deploying IGCC in this Decade with 3 Party Covenant Financing. If you haven’t read it, at least read the first 21 pages to get the depth and breadth of what they’re proposing. It sets out a detailed scheme of risk shifting to facilitate coal gasification market penetration — something that ought to have the free marketers across the country flapping… The Harvard plan requires federal perks, like outright grants; the DOE “studies” on sequestration, use of different coals; tax breaks like the 48A DOE credits; federally guaranteed loans. It requries state perks like outright grants, more tax breaks, and regulatory acquiesence. And from the project proposer, they can get by with 20% equity, not the typical 45% for a generating plant, and worse, they can get into it with just a Power Purchase Agreement as their equity. So we’ve got a new, unproven shaky technology that HAS been proven to have a capital cost of $2,155,680,783, or $3,593/kW; a piss-poor emissions profile and which doesn’t capture CO2; and that costs 9-13 cents/kWh… well, folks, it seems to me the market has already decided that IGCC is a pig in a poke. On top of that is a pattern of IGCC proposals where there is no demonstrated need for the power. AAAAAAAAAARGH!!! At those sites are links to the Senate version. Author in the House is Traviesa and co-sponsors are Ambler; Aubuchon; Brandenburg; BrisÃ©; Cusack; Garcia, R.; Glorioso; Grimsley; Hasner; Homan; Kendrick; Kreegel; Machek; Mayfield; McKeel; Murzin; Nehr; Planas; Precourt; Richardson; Seiler; Troutman; Weatherford; Williams. Author in the Senate is Bennett and co-sponsors are Aronberg; Dockery; Lynn; Fasano; Joyner; Constantine; Jones; Gaetz. To contact Florida Senators and Representatives, click on their name above to get to their individual page to send an email. TELL THEM WHAT YOU KNOW ABOUT IGCC!!! FRONTENAC â€” Frontenac residents expressed great disappointment and concern Tuesday over a tree harvesting project gone wrong. About a year ago, Florence Township Heritage Preservation Commission began working on a plan to rejuvenate Frontenacâ€™s Wakondiota and Valhalla parks. â€œWe were trying to improve our parks by getting rid of the dead and damaged vegetation, and intrusive species â€” especially buckthorns â€” and to preserve the parks for future generations.â€ said Bill Flies, chair of the commission. Buckthorns are an invasive shrub. Once established, they can crowd out native shrubs and herbs and can alter water tables. Speaking to the Town Hall crowd, Flies explained the need to manage the plant growth in the parks. According to the management plan, the parks have been ignored for decades and are in need of cleanup that will improve accessibility and create healthier, more attractive parks. Local residents were given opportunities to voice concerns and share ideas during the planning process. Many residents were hoping to improve their views of the landscape along the river. A plan was finally approved in September 2006. The appropriate permits were obtained, Flies said. Albers Farm and Forest was contracted to harvest the marked trees and work was scheduled to begin March 13. The trouble began when the logging firm, subcontracted through Albers, began work a day early. No one from Florence Township Heritage Preservation Commission was present to supervise the job. On March 13, Flies and Clay Ruggles, a Florence Township supervisor, noticed that more trees had been cut than were marked. They also noticed that the skidder, a type of tractor equipped with a grapple used for hauling logs, had damaged new growth. They immediately notified Albers to correct the problem. Albers management met with the logging crew, and changes were implemented. The crew finished Wakondiota Park on March 18. FHPC decided the heavy equipment used by loggers in Wakondiota was not suitable for the rolling terrain in Valhalla Park. To prevent further problems, Flies met with Albers management on Monday to terminate the cutting effective Tuesday. Residents at Tuesday nightâ€™s meeting wondered how this could have happened. One man asked why there was no one to supervise the logging crew. Flies explained that they simply didnâ€™t have enough volunteers. â€œEveryone on this board has other commitments,â€ he said. His response was not well accepted. Many in attendance seemed to agree with Eide-Tollefsonâ€™s views. Others, like Jan Bruce, preferred to look ahead. Then Bruce offered a suggestion to bring in a wood chipper to deal with the debris and to spread the wood chips on the path. â€œI think we pursued it with all the correct plans of getting rid of the dead and diseased trees and the right kind of species, but as the contractors came in, more was cut than what was marked,â€ Flies said.